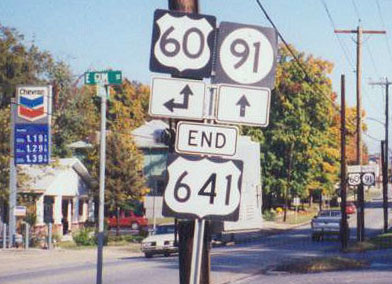 This image is looking the opposite direction (south on Fares), which was westbound US 460 (continuing to the right on Virginia) and southbound US 41 (which continued straight ahead). 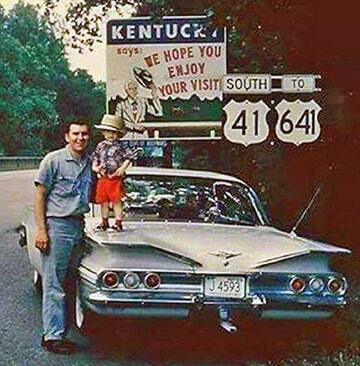 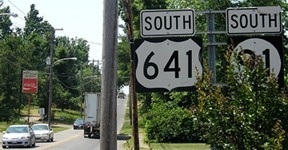 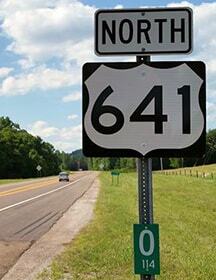 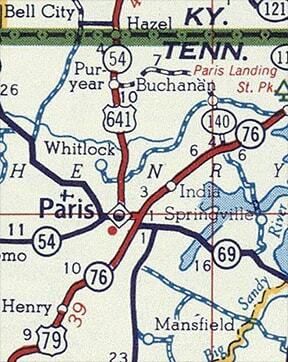 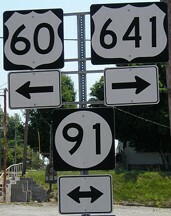 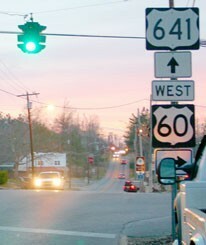 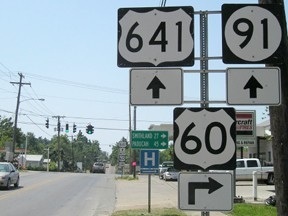 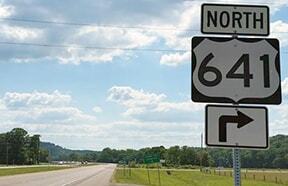 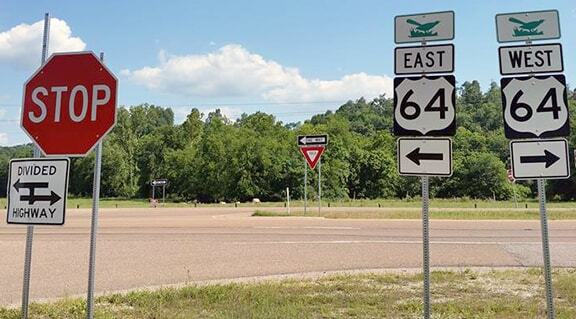 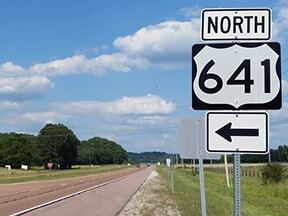 Also straight ahead was the north beginning of US 641. 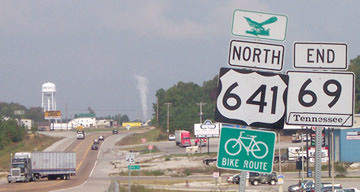 That direction has since been slightly altered because of the newer US 41 expressway (some of its overhead signage is visible in the distance). 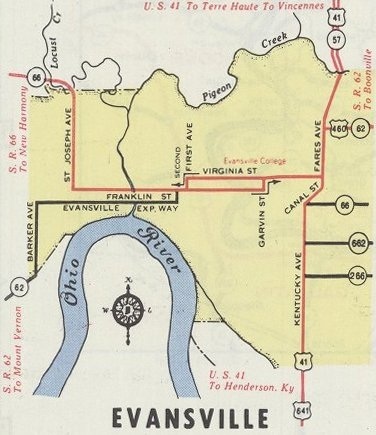 Also, Canal no longer connects to southbound Kentucky because of the newer Lloyd Expressway. 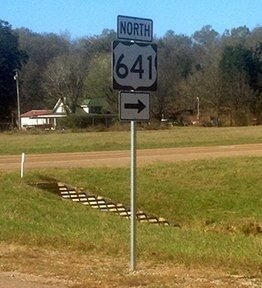 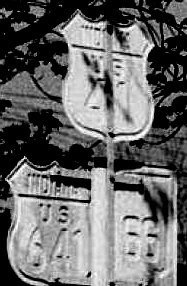 ​That was the first northbound marker (incidentally, the mockingbird symbol denotes one of Tennessee's official scenic routes). 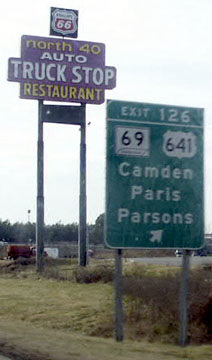 Camden is about 15 miles ahead. 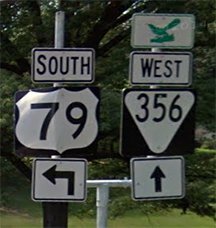 last updated Dec. 17, 2018.